R&G Radiator Guards are available in black to fit the BMW F800 GS / F800GS ('08- onwards). 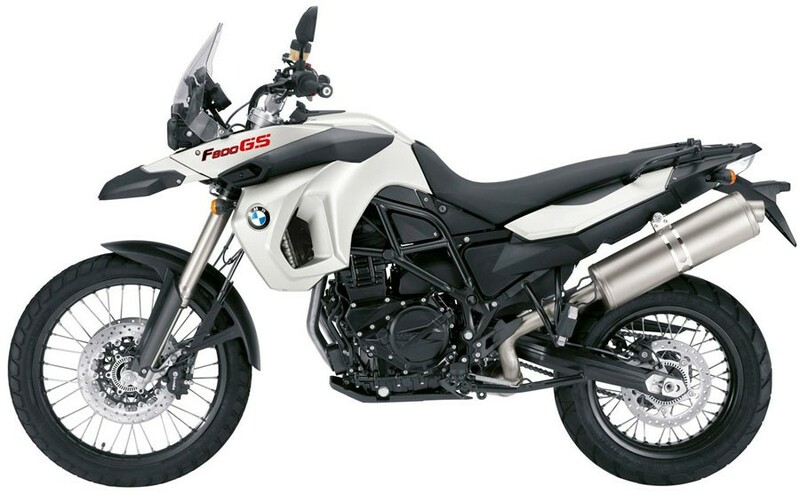 This model is suitable for the BMW F800GS models '08- onwards. New for 2013. The R&G Stainless Steel Radiator Guard series is a more rugged version of our existing aluminium offering and are aimed particularly for Adventure bikes. Constructed from stainless steel allows the guard to be incredibly strong and impervious to rust – perfect for bikes and riders who may tackle demanding terrains and conditions. This model is suitable for the BMW F650GS '08-, F700GS, F800R, F800S/ST, F800GT models. This Engine Case Cover (Left Hand Side) is suitable for the BMW F650GS '07-'12 ,F700GS '14-, F800GS '07- & F800GS Adventure '12- providing essential core protection. These bar end protectors are simple to fit and replace the OEM bar ends.These protectors are suitable for the BMW F650GS '08-'11 andF800GS '08 onwards. Kaoko Throttle Stabilizer for BMW F800GS (2008-2012) & F650GS (2008-2012), F800R (-2014) without OEM hand guards or with retro-fitted OEM R1200GS hand guards; with Touratech Hand Guards. Kaoko Throttle Stabilizer for BMW F800GS & F650GS Twin 2008 -2012 (With Steel Back Bone OEM Hand guards with mounting bracket fitting in between barweight and throttlegrip); BMW R9T. Kaoko Throttle Stabilizer for BMW F800GS (2013-) & F700GS (2013-) : (for use with OEM steel back bone hand guards) - Technical installation and mechanical experience required. OEM handle bar clamp needs to be repositioned along the handle bars, and the handle bar clamp needs shimming to allow proper fit to OD of handle bar. Kaoko Throttle Stabilizer for the BMW F800R, F800GS & F650GS, (2008-2012) : for use with Barkbusters BHG16 & BHG17 - VPS & Storm Handguards). These fork protectors are suitable for the BMW F800GS '08- and help to eliminate damage to the front forks during a drop. This 2-piece Tank Traction Grip set has been specially designed for the BMW F800 GS '15-'17 models. This particular model fits the BMW F800GS '12-. These R&G Headlight Shields are specially designed to fit the BMW F650GS '08-, F700GS '13-, F800GS '08 models. This frame insert is suitable for the Husqvarna Nuda 900R (2012 onward), BMW F650GS ('08-) and BMW F800GS ('08-) and fit both the left and right hand sides upper frame holes of the bike, covering and protecting the the holes in the frame from damage and debris buildup. This frame insert is suitable for the Husqvarna Nuda 900R (2012 onward), BMW F650 ('08-) and BMW F800GS ('08-) utilizing a steel bar (much like our fork protector kits) to keep the both the left and right hand sides in place on the bike they cover exposed holes in the frame protecting the frame from damage and debris buildup. This Bash Plate is compatible with the BMW F650GS (’08-) and F800GS (’08-) and Husqvarna Nuda 900R ('12-). This specific exhaust fits the BMW F800GS '08 models and available in the "Factory" styles. This specific BMC Air Filter has been made for the BMW F650GS 08-12, F700GS 12-, F800GS 08-, F800GS Adventure 13-, Husqvarna Nuda 900/R 11-13 models. Barkbusters Hand Guard kit designed specifically for the APRILIA SHIVER ('13), KTM 200 DUKE ('13 on), KTM 250 DUKE ('17 on), KTM 390 DUKE ('13 on), SUZUKI SFV650 Gladius, HONDA CB125E, HONDA CB500F ('13 on), HONDA CB650F, Aprilia Shiver 900 '18- & BMW F800 GS '16- models. BarkBusters handguard kit designed specifically for the BMW R1200GS ('13-) and R1200GSA Adventure ('14-) models with OE specifications.